We are constantly on the look out for exciting new talent! Once Taskeen Zahra came across Samya Arif – whoâ€™s work was featured in a Coldplay video – she fell instantly in love. Iâ€™ve been making art since I can remember; itâ€™s always been a way to express myself and how I see things. I graduated from the Indus Valley School of Art and Architecture in 2010 with a degree in Design and a minor in Photography, and since then Iâ€™ve been working primarily as an illustrator and graphic designer along with a few ventures in web design. These days, apart from freelancing and focusing on my personal work, Iâ€™m also teaching at the Indus Valley School of Art and Architecture. At what point did you realizeÂ that a career as an illustratorÂ was for you? I think I always knew, but I wasnâ€™t completely sure until I graduated and started working. Whatever I was doing then, I always needed to save some time to make work that I wanted to. Iâ€™m lucky enough to make a living out of it now. How would you describe your sense of design? Iâ€™ve always loved to play around with coloUrs, and thatâ€™s something you can see in all my work. I also like keeping things neat and tidy with elements of surrealism and psychedelia. How did your taxi designs get featured in Coldplayâ€™s video for â€œHymn for the Weekendâ€? The taxi interior designs I created were for a Mumbai-based organization called Taxi Fabric, run by Sanket Avlani. My taxi designs were created on the occasion of Pakistan and Indiaâ€™s independence days and were meant to be a message of peace and love to the people of Mumbai. The designs were very well received by the media and people world over; they were featured on Buzzfeed, CNN, Quartz etc. 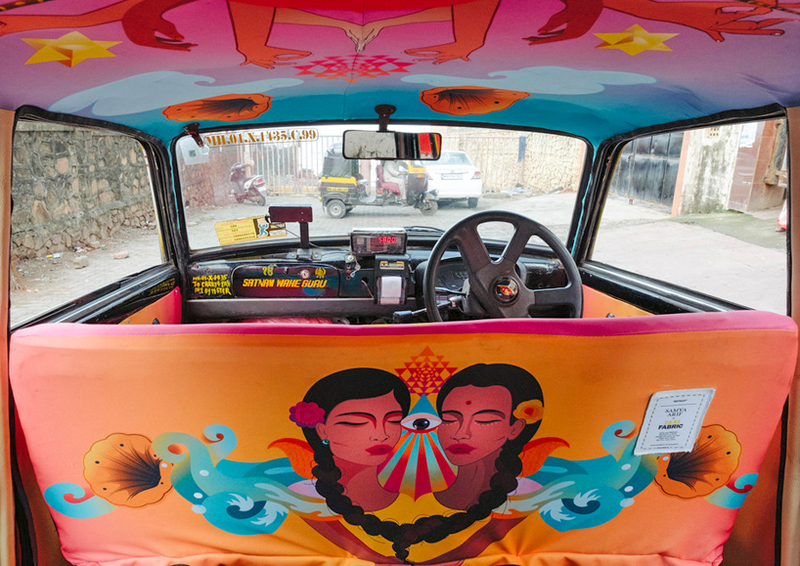 When Coldplay came to India to shoot their video, they contacted Taxi Fabric to send over 2 of their best-designed taxis. One of those happened to be mine, and luckily Coldplay decided to go with that taxi! The sheer joy of seeing Chris Martin sitting in the taxi that I had designed was unbelievable. I quite liked Coldplay in their earlier days, so it was like having a school girl crush revived. Did you ever think your work would be featured on such a platform? One should always dream big, I have much bigger dreams that I need to make come true. Who are your three biggest inspirations in the world of illustration and why? These days Iâ€™m crazy in love with a lot of female illustrators and artists, a lot of who are creating bold and personal work, like Polly Nor and Laura Callaghan from the UK. Also, Ayqa Khan from the US and Pakistani artist Shahzia Sikander who has been exhibiting world over. I feel travelling is the best mode of inspiration. I really enjoy experiencing new cultures, meeting different people and checking out the local art and music scene. Iâ€™ve been in love with Berlin since forever and each time I go there I feel electrified with creativity. 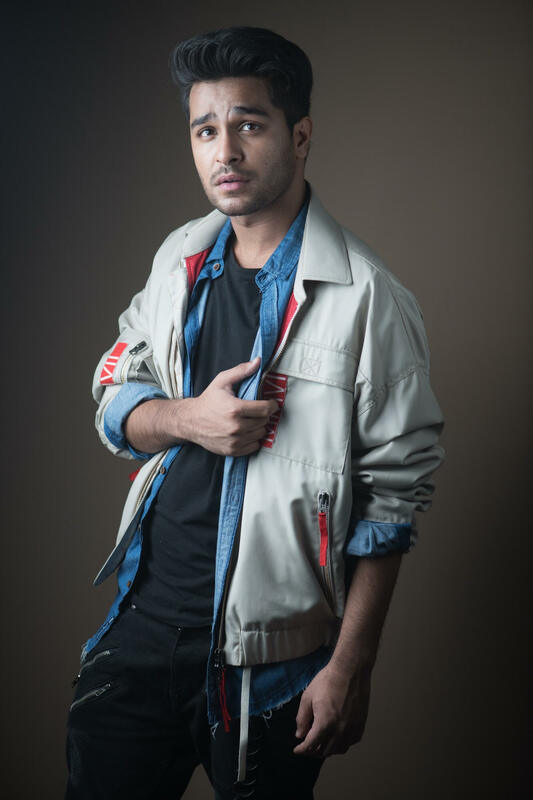 What is it like being an illustrator in Pakistan? Itâ€™s actually quite exciting, because the community is small and growing. There a lot of opportunities and possibilities out there to do some fun and exciting work. It can get a little trying at times, when youâ€™re working to build a name internationally, because out there the market is pretty saturated with a lot of brilliant work. I would love to create album art for some of the musicians and bands I listen to, and there are too many to list. It would also be great to get to work for more organizations that empower women as I feel that is much needed right now. Nah, I wouldâ€™ve never listened to any advice back then. My family has always been supportive and encouraging towards my aims and ambitions, and itâ€™s great to be surrounded by like-minded friends, some of which are amazing artists and musicians themselves. 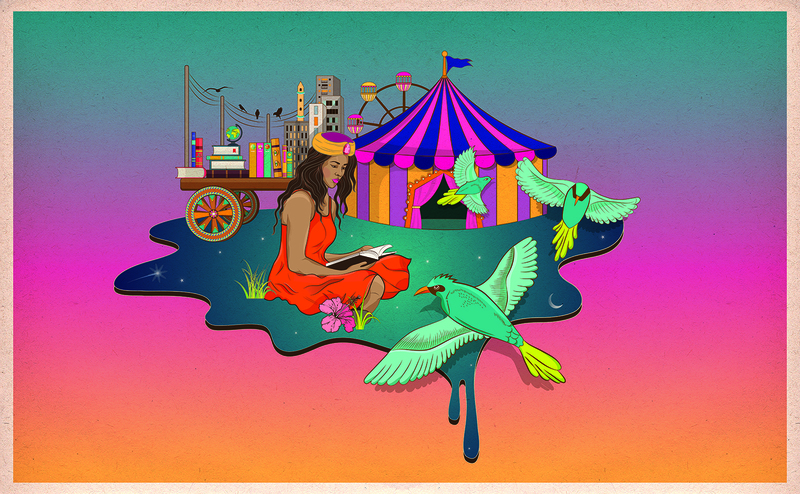 I just finished working on album art for Pakistani musician Mooroo and am currently working on illustrations for Herald magazineâ€™s upcoming issue. I am also awaiting the launch of a book bus I designed for the US embassy in Kathmandu, Nepal.